"On my 45th birthday I turned 30 again! Hard to believe, isn't it? Well it's no miracle; it's all thanks to my new best friend, "TePoemä® Youth Restore Serum". After using this product for just a few weeks not only me, but everyone around me, started to notice my "expression" lines and wrinkles around my eyes were getting lighter and lighter. I was considering Botox or cosmetic surgery, but honestly now I don't think I need it. The best part is that it's affordable, compared to many department store name brands. I'll be spreading the word about this product to as many people as possible!" Did you know that... Tahitian Noni® Juice is the most powerful antioxidants known to the mankind. The secretes of healthy, clear, glowing skin are finally available through Tahitian Noni® Beauty products. This Exotic Skin Renovation Cream from Tahitian Noni international combines Noni and natural skin care ingredients to improve firmness and reduce the appearance of wrinkles. Marine flora and bamboo extracts impart a healthy glow while Noni juice and other essential elements aid in hydration and overall skin renewal. Return health and glow to your skin. Look 10 year Younger Now! Tired, stressed out weak skin prone to wrinkling and loss of firmness. Tropical oils have been used for centuries to relax and reduce stress. Now you can return your skin to its beautiful state with silken elegance of nature's hidden beauties by using facial care products of Tahitian Noni International. Curbs microswelling and helps soothes irritated skin. Provides essential fatty acids vital to healthy skin metabolism; also provides light moisture. Try Skin Renovation Cream; get your baby skin back! TePoemä® Youth Restore Serum is a natural skin care product. It helps reduce the appearance of wrinkles and expression lines. Essential antioxidants and compounds from Noni juice help restore skin to its youthful appearance. Glucosamine helps exfoliate dead cells and works to smooth skin. The viscous liquid smells pleasant, no overwhelming fragrances. It is not oily or greasy at all. It glides on smoothly to protect the face and reduce the appearance of wrinkles and expression lines. "After a few health problems and a troubled marriage I was always stressed and it showed! After using this cream my skin was noticeably more firm and I have already started to see the wrinkles reducing. I look young, fresh and stress is a thing of the past! TePoemä® products are definitely here to stay!" Soothes irritated skin and Curbs microswelling. Revitalizes skin by reducing the appearance of fine lines and wrinkles. Helps exfoliate dead cells and works to smooth skin. Aside from Noni, what sets TePoemä® and Moea apart from other skincare brands on the market? Tahitian Noni TePoemä® product line defends against repeated micro-swelling, or inflammation, with our exclusive, proprietary Noni leaf extract. No one else in the world offers the benefits of the leaf. The exclusive formulations of Tahitian Noni Moèa™ product line feature special properties that protect and nourish the skin. Was the beauty line developed with a dermatoligist? Do the skin care products come from the Noni leaf rather than the fruit? Tahitian Noni TePoemä®™ and Moea® products incorporate Noni fruit and leaf as well as essential oil from the seed depending on the desired product benefit for the product. What makes your product different from others on the market? Tahitian Noni™ beauty products incorporate proprietary Noni leaf extract and juice formulas, unlike any other skincare manufacturer. 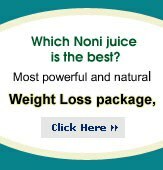 Read more about Tahitian Noni Juice, Moea hair care, TePoemä® facial care, skin care, Tahiti Trim Plan 40 weight loss products.